In general, the risk is in forms of portfolio in finance or in forms of the sum of insurance policy in insurance. And they are generally not independent and we do not know the correlation, and we call this correlation copula, of them. So we cannot research that using the method of investigating only one risk or regard random variables as independent. We need to consider the correlation of n random variables with given identical marginal distributions. In the quantitative risk management, the research about the sum of n random variables under uncertain correlation, especially focuses on the risk measure of the sum of n random variables. In this paper, we investigate VaRα(S) (Value-at-Risk) and the copula that it can minimize the VaRα(S) in a confident level α . Then we get the copula of minimum of VaRα(S) under monotone density. And this copula is that n random variables are complete mixable. Finally, this paper gets the minimum and maximum of VaRα(S) at the situation of two dimensions. This result is also got under complete mixability. R. 卡尔斯, M. 胡法兹, J. 达呐, M. 狄尼特. 现代精算风险理论—基于R [M]. 第二版. 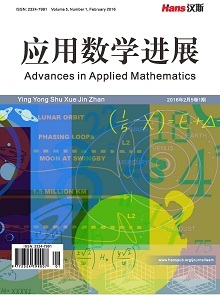 北京: 科学出版社, 2016: 123-127. 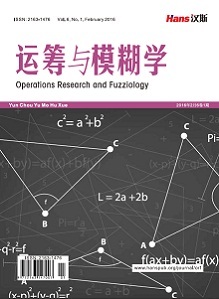 Bignozzi, V., Mao, T., Wang, B., et al. (2016) Diversification Limit of Quantiles under Dependence Uncertainty. Ex-tremes, 19, 143-170. Embrechts, P., Puccetti, G. and Rüschendorf, L. (2013) Model Uncertainty and VaR Aggregation. Journal of Banking & Finance, 37, 2750-2764. Puccetti, G., Wang, B. and Wang, R. (2013) Complete Mixability and Asymptotic Equivalence of Worst-Possible VaR and ES Estimates. Insurance Mathematics & Economics, 53, 821-828. 王良. VaR风险管理模型的理论与应用[D]: [硕士学位论文]. 大连: 东北财经大学, 2003. Wang, B. and Wang, R.D. (2011) The Complete Mixability and Convex Minimization Problems with Monotone Marginal Densities. Journal of Multivariate Analysis, 102, 1344-1360. 易文德. 随机变量间相依性度量的新方法[J]. 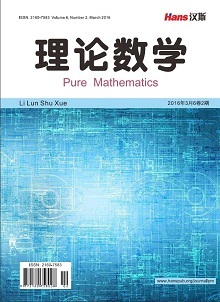 重庆文理学院学报(自然科学版), 2009, 28(5): 5-7, 14. 王彬. 随机变量的组合学[M]. 北京: 现代出版社, 2016: 17-29. Wang, R.D., Peng, L. and Yang, J.P. (2013) Bounds for the Sum of Dependent Risks and Worst Value-at-Risk with Monotone Marginal Densities. Finance and Stochastics, 17, 395-417.